A semi-automatic pistol is a type of pistol that is semiautomatic, that is it uses the energy of the fired cartridge to cycle the action of the firearm and advance the next available cartridge into position for firing. One round is fired each time the trigger of a semi-automatic pistol is pulled. 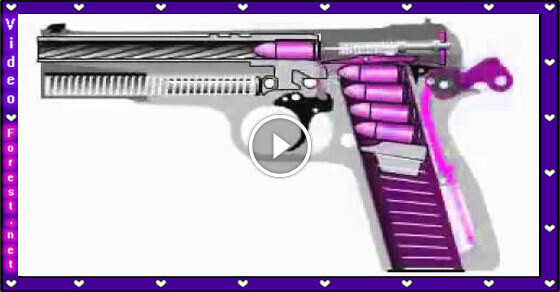 This videos shows you the internal working mechanism of a semi-automatic pistol in 3D animation. The model in this video is based on the Springfield Armory XDM 45 Compact.